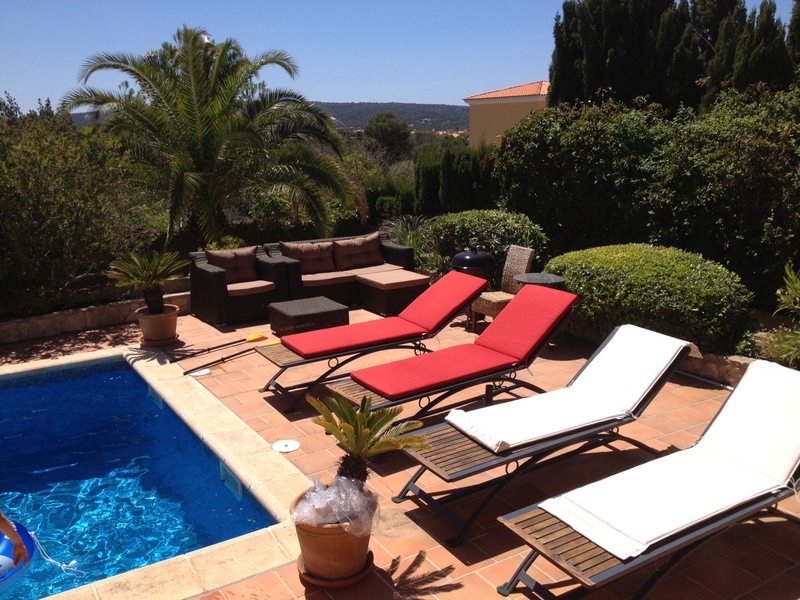 Villa Alicia is in an executive, quiet location, with private pool. 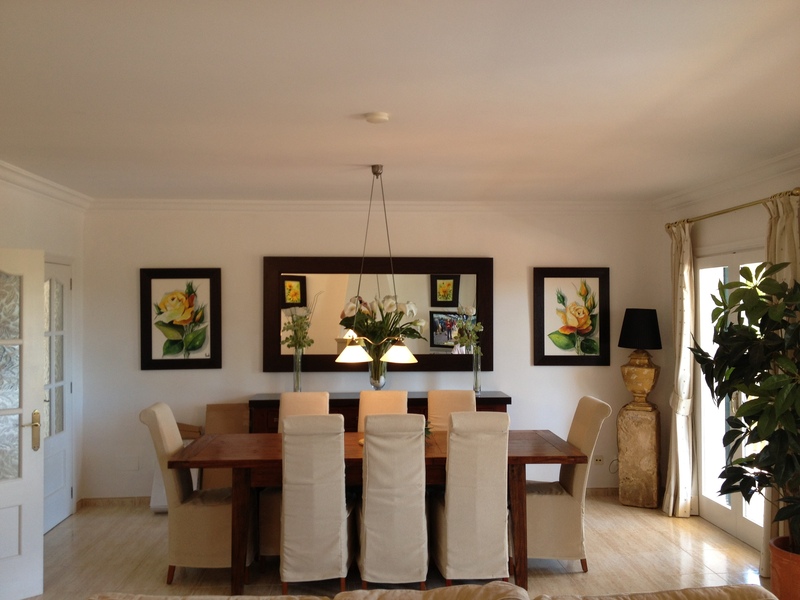 5 minutes drive from the beaches the centre of Santa Ponsa and 15 minutes to the bustling capital. This exclusive villa has 4 bedrooms and can sleep 10. 3 bedrooms upstairs & 1 bedroom downstairs. Upstairs - Master bedroom with a King size bed with en-suite. Upstairs and downstairs bathrooms. First floor bedrooms have balcony with panoramic sea views. Large swimming pool with gradual steps easily accessible. Lounge area has an open fireplace, 42" Plasma Screen with Sky Satellite. DVD, CD system. Dining area inside and out with table and chairs. All rooms have air conditioning. The Villa is also centrally heated. Washer/Dryer, dishwasher, microwave all available. 30% deposit will secure the dates (none refundable). Remainder of the balance will be due 8 weeks prior to arrival date. £300 bond due 2 weeks prior. We operate a strictly No Smoking policy. Property has Spanish Certificate of Energy Efficiency for self catering properties which has been issued by the Spanish Government. We stayed here we young children and grandparents. We always rent villas but I must say that this has been the Best!!. We didn’t need to leave the villa it had two barbecues which we used every night. The furnishings are to a very high standard and the beds are so comfortable. I could not fault the villa in anyway and we will definitely be re-booking for next year. The villa itself has large open plan lounge/dinner area, one nice double bedroom and bathroom downstairs, upstairs has a large room with walk in wardrobe, en suite with his and hers sinks, and double doors to a huge shared balcony with second double upstairs bedroom. There is a further double room and one nice big family bathroom. We were welcomed at the villa by local English lady who showed us round the villa, very helpful and pleasant. Outside there is a nice big pool, sun loungers, etc, there were li-los and pool toys that were left by owner/other renters! To sum up if i were to go back to Majorca with at least 4-6 people i would always go to villa Alicia! It works out a good price and you do feel like your living like a millionaire for a week or two!! Palma, on the island of Mallorca is the capital of the Balearic Islands. Palma is the economic and cultural hub of the island. Located on the south coast of Mallorca, Palma also forms an important holiday resort and commercial port. 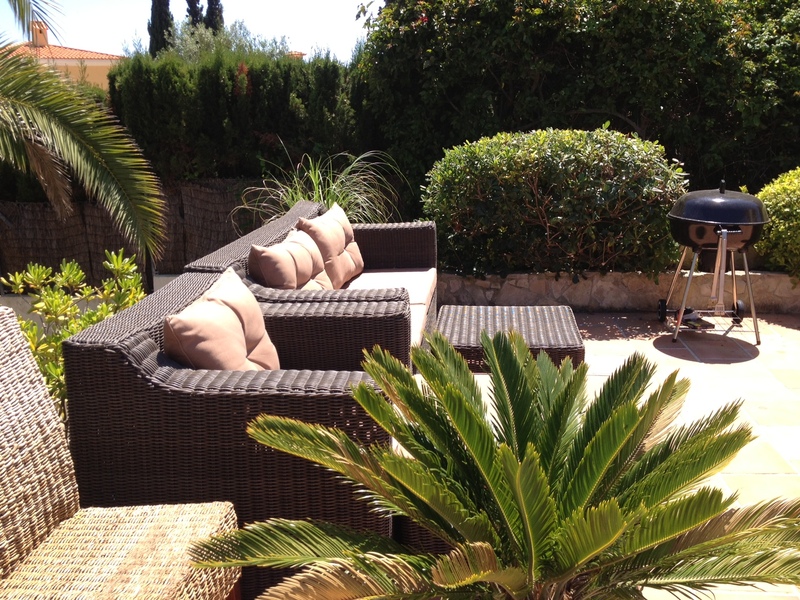 Palma offers the island's best choice of hotels, restaurants and widest choice of entertainment. Despite having become a modern, vibrant city, Palma has managed to retain its Old Town along with the ancient culture and charm of bygone days.